Sarah Neufeld is the violinist for the Arcade Fire, but you already knew that, right? Arcade Fire are a legacy band of a time when Canadian bands were touring with eight or nine members, usually with a massive kettledrum or timpani taking up the entire back seat. The swelling rosters of bands like Arcade Fire and Broken Social Scene have developed a complex Wu-Tang–like pantheon of members and affiliates that have released records outside of the general collective. Of all the Arcade Fire extracurricular albums, Colin Stetson and Sarah Neufeld’s 2015 collaboration on Constellation Records has made some of the biggest critical waves. That record showcased an insane caliber of musicianship and interplay, allowing both musicians to follow each other into linear, progressively more intense lines. The Ridge is an isolation and distillation of that virtuosic performance with Stetson that finds Neufeld alone with her violin and voice often accompanied by Gara on drums. The Ridge is an intense listen—Neufeld plays her violin with a bowed ferocity unhinged from collaborative restraints. The eponymous album opener is an example of that, an eight-minute exercise in held tension whose frequent climaxes come when Neufeld’s string-searing lines and wordless melodies are buoyed by Gara’s splashy, open-cymbal, syncopated pounding and a open-mawed drone, whose source could be a number of things—Neufeld’s processed violin, Stetson’s baritone sax and/or the rending of fabric of the universe. Neufeld’s voice often acts as compositional accompaniment, folding her wordless melodies and coos as another instrument in the mix or taking the driver’s seat in songs like the album’s first single, “We’ve Got a Lot,” where Neufeld’s upper-register voice is parsed out in percussive bursts until the melodic chorus. A comparison to Kate Bush’s breathy but commanding voice is an easy one, both making easy homes in majestic, baroque pop. Not all returns are as easy as a violin-led pop number. The nine-minute “A Long Awaited Scar” starts with Neufeld’s unaccompanied violin fluttering with impossibly fast lines that dart around a sturdy, minimalist passage—the closest resemblance of recital-style classical music on this album. Right around the halfway point of this song, Gara puts these lines into the service of Valkyrie swoop from the rafters to deliver a full-kit pummeling until the sparsest cymbal hits are relegated to a distant distortion and a faint thud is heard underneath Neufeld’s omnipresent bowing and her processed vocals. This creates a golden, sustained tone that hovers in the mid-section for the last few minutes of the song. The Ridge, much like selected Wu-Tang solo-output, highlights the incredible talent outside the sum of the whole of a group that has disrupted the musical landscape of the past 10 years, but with a noticeable lack of truly inspired monikers and skits. 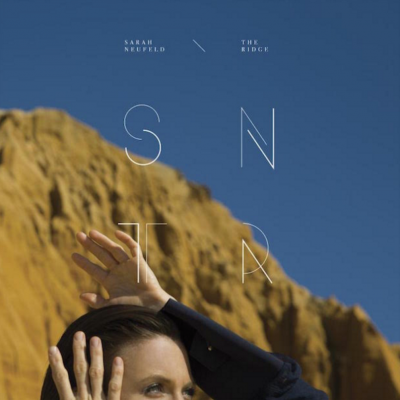 Sarah Neufeld has created an ambitious, challenging and ultimately rewarding album that makes a solo-violin sound impossibly huge and cataclysmic.